Enjoy the latest in overland tech and travel: a comparison between the Hi-Lift and Hydra-Jac; the latest news on the anti-malaria front; iPhone and camera tools; and much more, by Jonathan Hanson. View online. 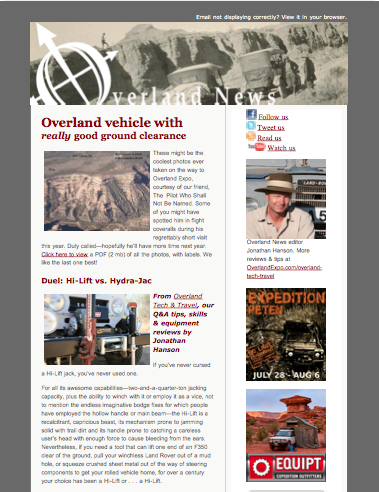 Be sure to subscribe if you are not on our free Overland News maillist.